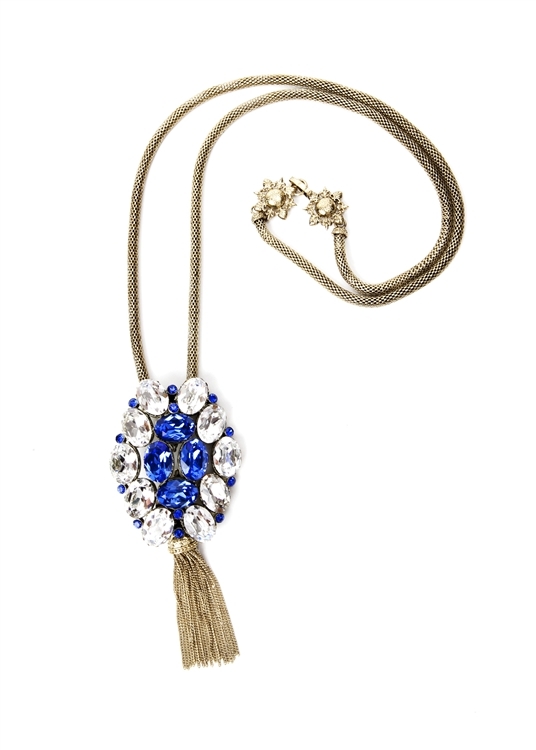 SV Couture Tassel Necklace in Clear crystal, Sapphire crystal, and Brass. Can be worn with or without tassel as the tassel is removable. 15"-17"